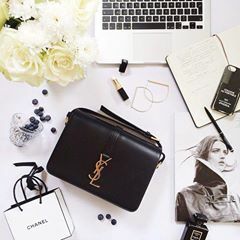 Designer Bid is a new high end luxury online auction destination where you can find all of your favourite designer brands for up to 95% off the retail prize. The site is really easy to use. You simply register and are automatically awarded 5 free bids to use on any auction of your choice. 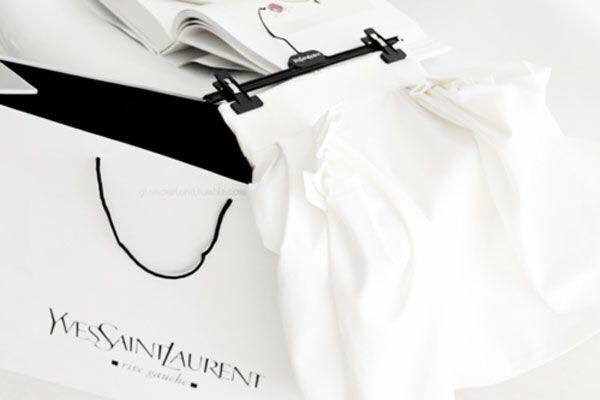 The website features brands such as Chloe, Chanel, Louboutin, Prada and many more of the most sought after luxury designer brands. Once you have decided which bag you fancy and what auction you want to partake in all you need to do is purchase a bidding package ranging from €15 all the way up to €300. Once you have decided how much you are willing to bid all you need to do is hit the bid button and your bid will be placed. The clock begins to count down over the number of days the auction is on. Once it gets down to the last 15 seconds this is where the fun begins. Each time the clock gets to 15 seconds if another bid is placed between 15-0 seconds the clock is brought back up to 15 seconds. The clock will continue to reset every 15 seconds for as long as bids are being placed. When the clock gets to 0 the buzzer says going once, going twice, checking. Checking means that it is checking for autobids. The last person who bids closest to the timer wins. All auctions start at €0.00 and is raised by 1 cent for every bid. You can see all other bidders amounts throughout the auction. This will help you to stay ahead of the game, you can also set up an autobids. This means that if you have to leave your phone or computer. Autobid is there to help you out, you can decide on the amount of bids you want blocked and the system automatically places these bids for you at random. Designer Bid gives you the opportunity to nab some trust worthy luxury designer goods for a very inexpensive cost. Some have even bagged themselves the beautiful Chloe Drew bag for €20 and the classic Chanel for €26. How amazing would that be? 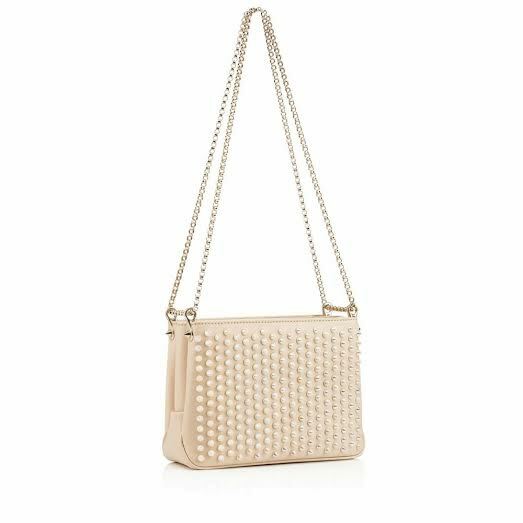 This beautiful Christian Louboutin Triloubi small chain bag in 'Ballerina', is up for auction today. It is a small bag perfect for a special event or cocktail party. It is divided into three roomy compartments lined with the Louboutin signature red interiors. This bag is a show stopper. Styled with your favourite pair of skinny's or leather trousers with heels or on those warmer days with a simple white dress or shorts. This bag will get a lot of attention wherever you go. It is quite a simple bag but with the slight studded detail it makes it very unique and gives it that luxury vibe that we all want in a designer handbag. 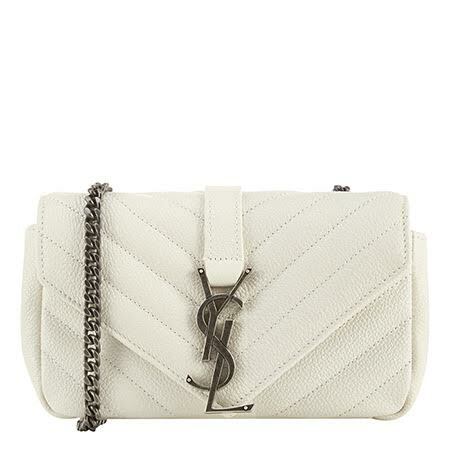 This YSL Saint Laurent bag is an upcoming auction this week, I think it is so cute and the perfect for summer bag. It would look so chic with an all white outfit or even styled with flora's or vibrant colours to make it really stand out. It is small in size but roomy enough to fit the essentials. Which makes it perfect for going out fun dinner or a fun event. Lately I prefer smaller bags as I always bring to much out with me so my bag is super heavy. Make sure to keep an eye on Designer Bid's website to see what bags are up for auction and also make sure to follow them on Facebook, Instagram and Twitter for regular updates and some serious handbag envy.